If you are moving to a new apartment or office space, your keys have been lost or stolen, or you want to benefit from a master key system, rekeying your home or business locks is a safe and cost-effective solution. Mr. Locks offers professional lock rekey services for residential and commercial clients in New York City, including Manhattan, Queens, Brooklyn, the Bronx and Staten Island. If you want to know if your locks can be rekeyed, just give us a call! Lock rekeying involves changing the pins inside the lock. Your new set of keys will fit lock, and any old keys will no longer work. This makes lock rekeying a faster and more affordable solution than changing the lock (in changing locks we are replacing the entire lock). Mr. Locks’ experts will assess whether your lock can be rekeyed, and will always offer the most cost effective solution for your situation. We can handle every type of locks, including deadbolts, mortise locks, knob locks, lever locks, cabinet locks, mailbox locks and more. We have experience and knowledge rekeying locks from the following brands: Medeco, Mul-T-Lock, Yale, Schlage, Kwikset, Arrow, ilco and more (see manufacturers list). If you have moved to a new office or building, lost a set of keys or have been burgled, or former employees have keys which give them access to your property, commercial lock rekeying is likely the most affordable solution. Our fully trained and licensed locksmiths can visit your business and carry out an expert lock rekeying service, giving you new set of keys and full security for your business. If you have moved home and concerned that previous tenants may have keys to your apartment, or your keys have been lost or stolen, our residential lock rekeying services offer a fast and affordable lock rekey solution. Our locksmiths will come to your home, and professionally rekey your locks. We will then provide new set of keys to fit the lock, and old keys will no longer work. We can create a master key that open and unlock all your locks with the same key if needed. Mr. Locks provides master rekeying systems for both residential and commercial clients. This will give you a single ‘master’ key that can open every door, while other keys can be created to fit individual doors. This is an excellent choice for many types of commercial building, and improves security and access control for businesses. Residential clients may find master rekeying useful when renting out rooms or apartments in the home, or simply for the ease of having one key to open every lock. 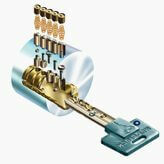 Mr Locks have the knowledge and experience to professional master rekey your home or business!